The Water Action Month is an initiative of End Water Poverty – A coalition of Civil Society Organizations and NGOs working to end water poverty in their respective countries. The month of March provides a platform for organizations and communities to stand together with one common voice; advocating for change and a world where no one is left behind, and everyone has their rights to water and sanitation realized. 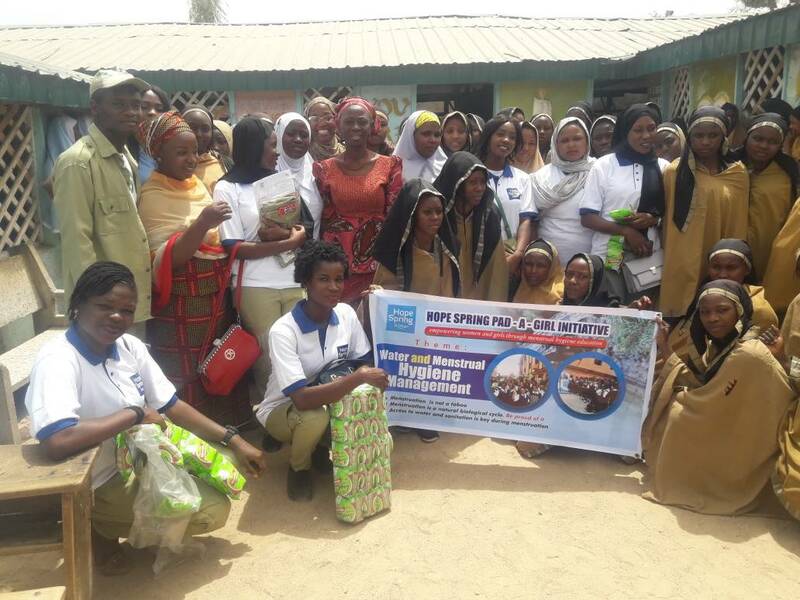 Our first activity was the Menstrual Hygiene Management workshop in Kano State, Nigeria, which was supported by Lady Care Nigeria. The workshop took place on the 1st of March 2018, at Fatimah International Secondary School, Kano State, Nigeria. 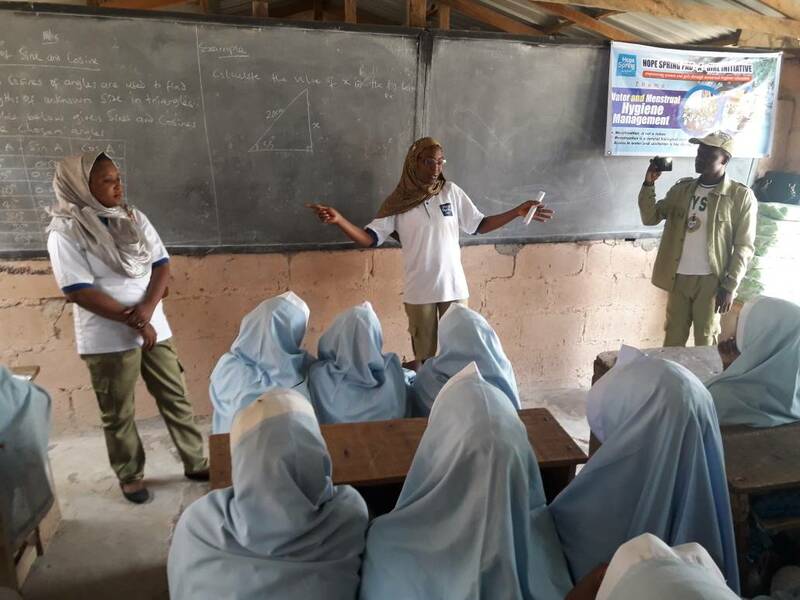 The workshop sensitized students on Menstrual Hygiene Management and the importance of access to water during menstruation. About 200 girls and women participated in the workshop. The outreach was carried out under the Hope Spring Pad-A-Girl Initiative and it emphasized the inextricable link between menstrual hygiene management and water availability. The workshop was an eye-opener; an insightful, great learning curve and confidence booster for both participants and Hope Spring volunteers who participated. 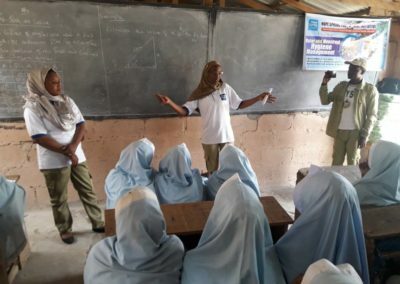 Now more than ever, when girls in Northern Nigeria are increasingly threatened to stay away from school, the onus is on us to empower and keep our girls in school. 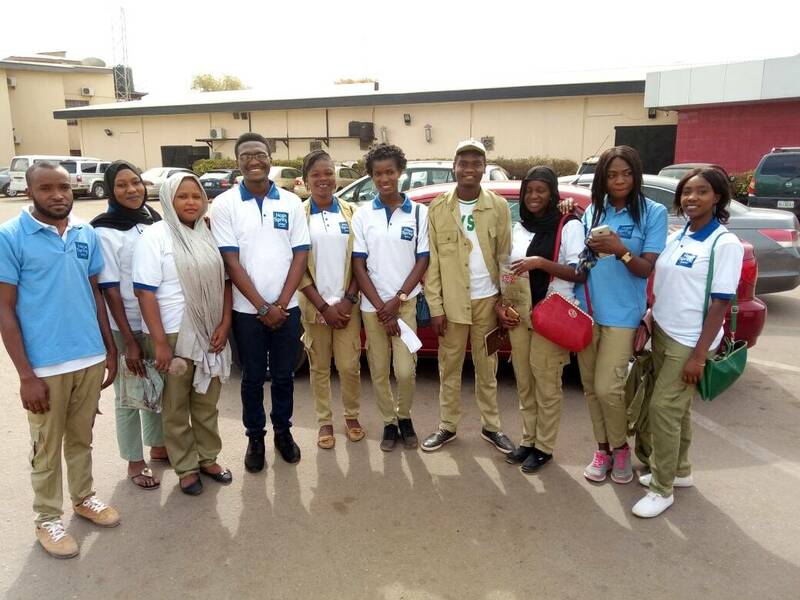 Thanks to our dedicated and committed volunteers who crossed all hurdles to reach and empower the #GirlChild in Kano State, #NorthWestNigeria. Thanks to Sankin Nigeria Limited, producers of Lady Care Sanitary pads for their support with the pads that were distributed to participants. 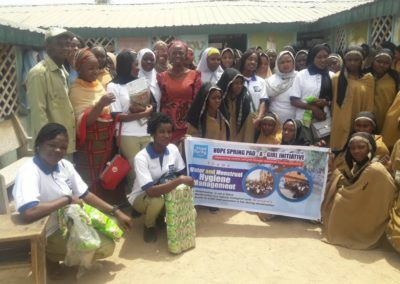 Hope Spring second activity to mark the Water Action Month was “Abuja Walk for Water”. Hope Spring Water embarked on a “Walk for Water” along the streets of the Federal Capital Territory, Abuja. 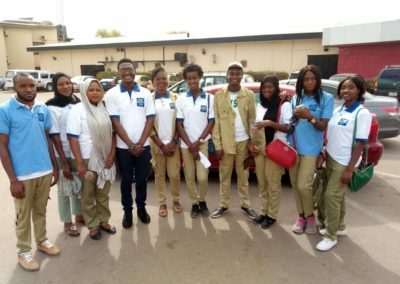 The walk, which commenced on 16th of March 2018 at Apo Shoprite Shopping Mall had other local NGOs – PickThatTrash and PHAAE – as partners. The aim of the walk was to sensitize Nigerians in the Capital City of Abuja, of their human rights to a clean and safe water close to homes. 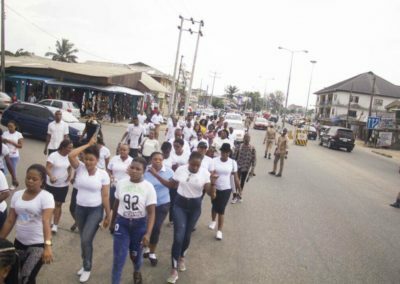 The “walk” held for two consecutive days between 10AM and 4PM each day, through the streets, parks, green gardens and malls in Abuja, Nigeria. 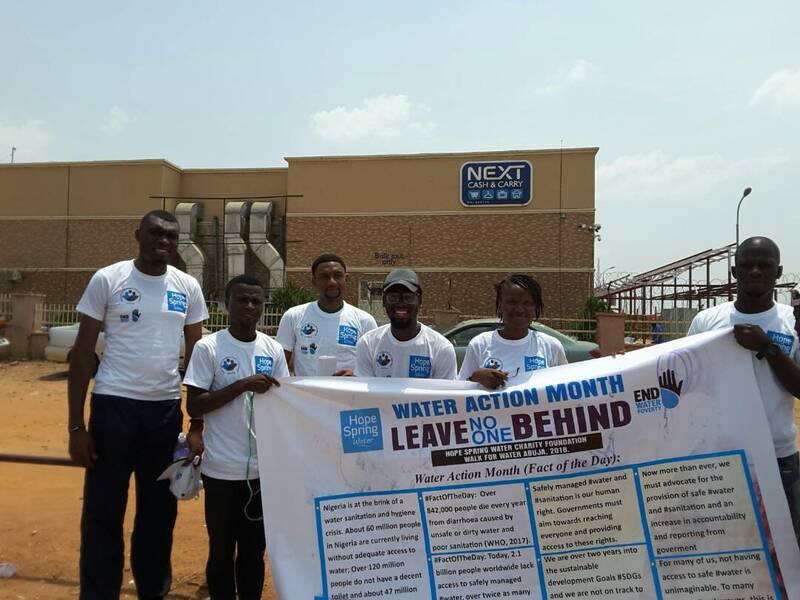 A large banner showing facts about water were displayed at each venue and customized bottled water were handed to participants and interested passers-by who stopped over to join the campaign. About 200 people were engaged in the walk. 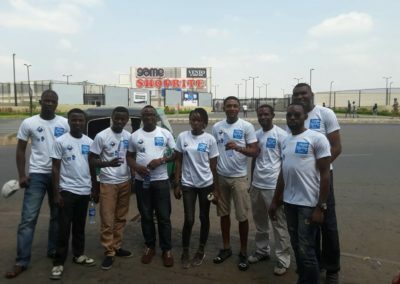 The campaign was concluded on 17th of March 2018 at Jabi Shopping Mall. 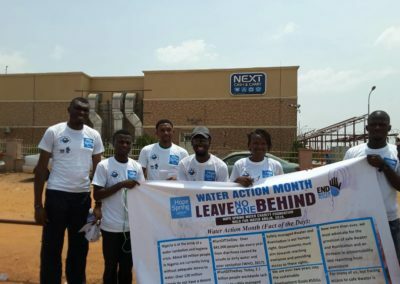 Most of the citizens engaged in a discussion during the “Walk for Water” confirmed that they are not aware of their human rights to water as they are used to providing water for themselves at homes. It is common practice for Nigerians to provide water at homes through boreholes while the poor who cannot afford to construct a borehole are left with no choice than to walk miles in search of water. 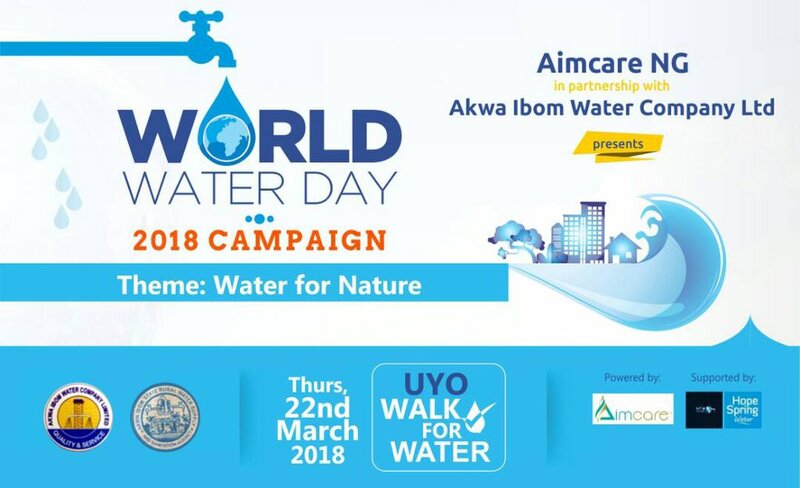 Uyo, the capital city of Akwa-Ibom State, also played host to a sensitization walk for water on the 22nd of March 2018. 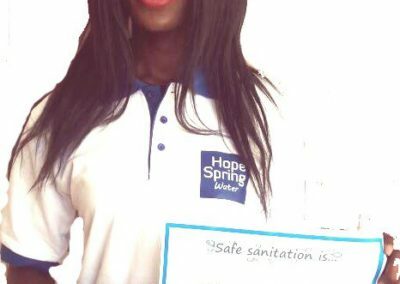 Hope Spring Water in Partnership with AimCare Nigeria (A social enterprise committed to ensuring ongoing access to Water, Sanitation and Hygiene) organized a “Walk for Water” along the streets of the “Oil City” – Uyo. 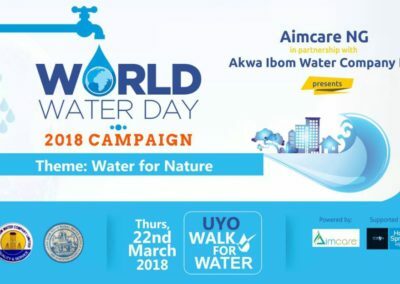 The event, which was led by AimCare Nigeria, drew support from various state drew support from Akwa-Ibom Rural Water and Sanitation Agency, Akwa-Ibom Water Company, and WaterEase (An International Charity working to ensure communities in Africa have ongoing access to clean water and sanitation). 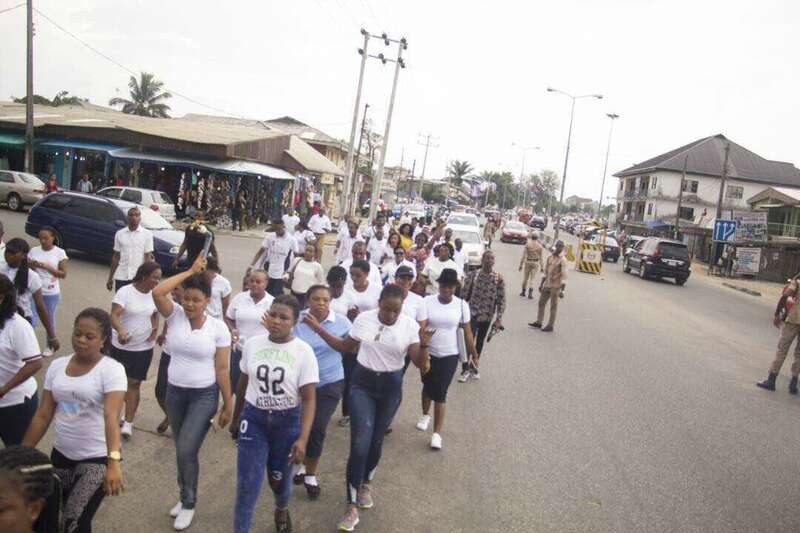 More than 200 people were engaged in the walk, laying emphasis on the importance of “access to clean water for all”, especially in an oil producing city like Uyo, where the drinking water sources (Rivers and Lakes) are more at risk of pollution from oil spillage. The Water Action Month was concluded with a workshop on “Human Rights to Clean Water”. 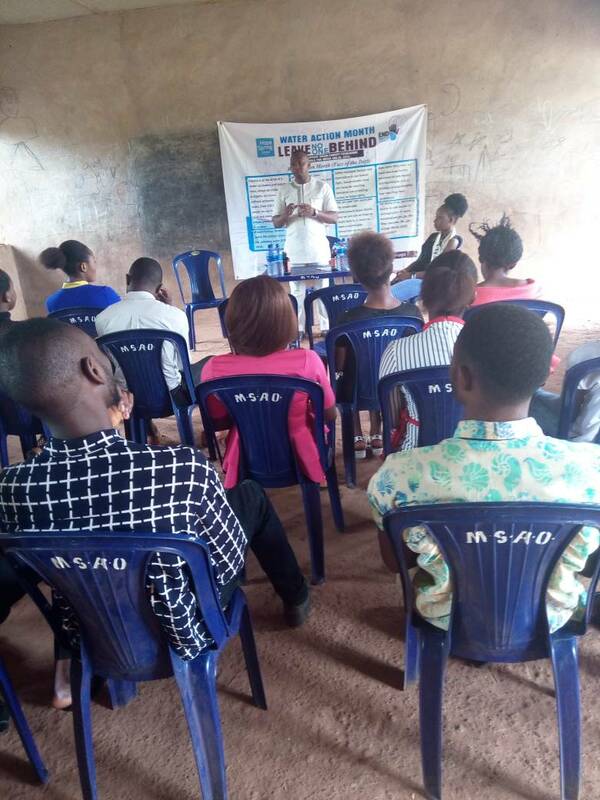 The workshop was held at Okpu-Orba Community, Enugu State. Enugu State, Nigeria is notable for water scarcity and most residents rely on open wells while boreholes are personal properties of those who can afford the high cost of drilling boreholes. It is a common sight to see children walking long distance to the stream to fetch water at early hours of the morning when they should be preparing to be in school. The workshop was vital to educate the community members on their rights to clean water. 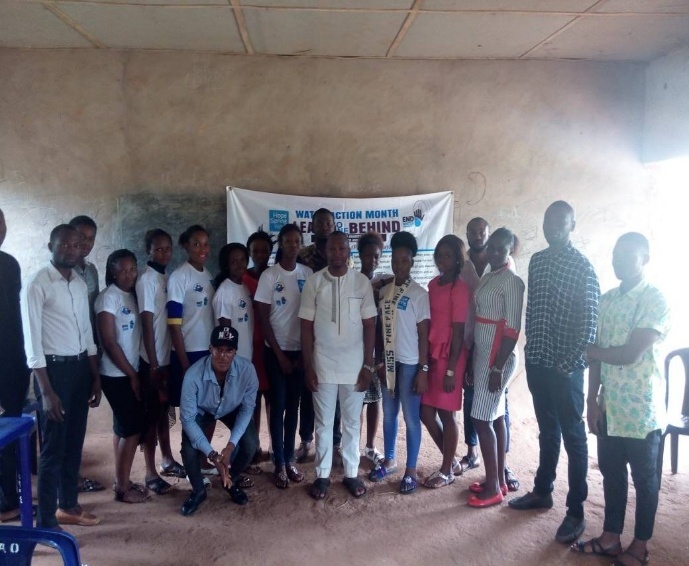 It called on the youths to take charge of their future and hold the government accountable to provide clean and safe water. 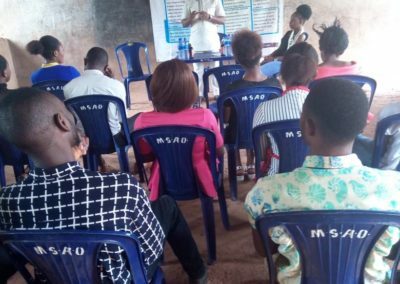 About 50 participants were present at the workshop, who were mainly members of Okpu Students Union Association (OSUA). 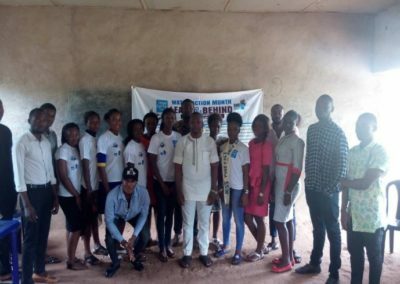 The workshop was facilitated by Hope Spring Volunteer, Mr. Emmanuel Ezeh. The media was flooded with campaign messages emphasizing on universal access to clean water for all. 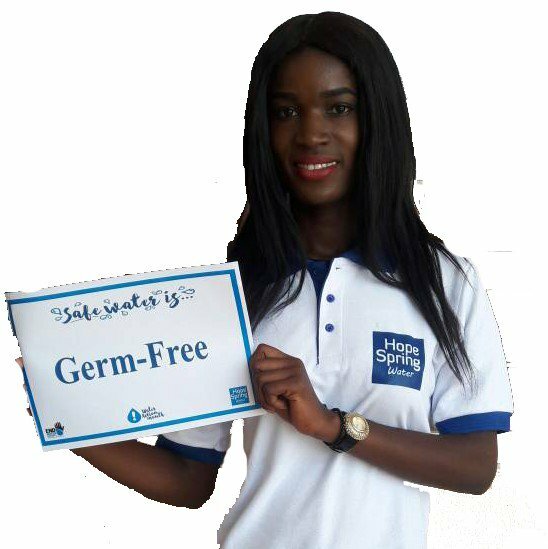 Hope Spring Water leveraged on the social media presence to sensitize its followers and the general populace on the need to take action for water. 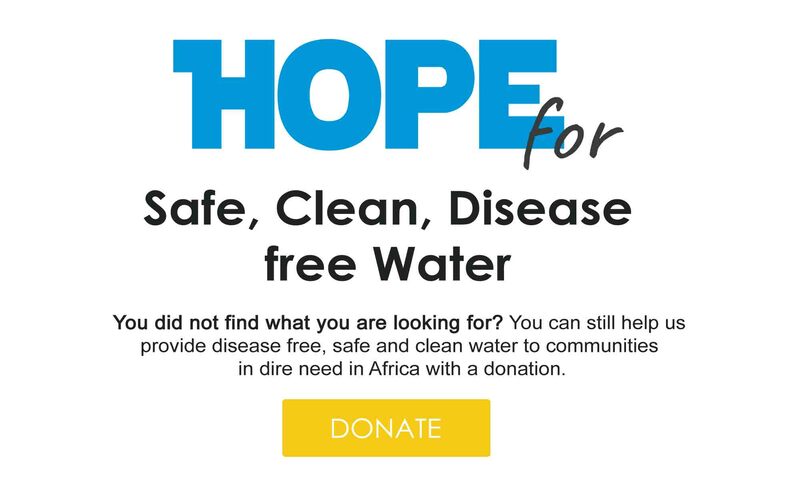 The online messages also encouraged citizens to engage governments on high level discussions channeled towards provision of safe and clean water for the vulnerable and marginalized people. Advocacy for Youth inclusiveness in decision making was also one of the main points of the sensitization campaign. 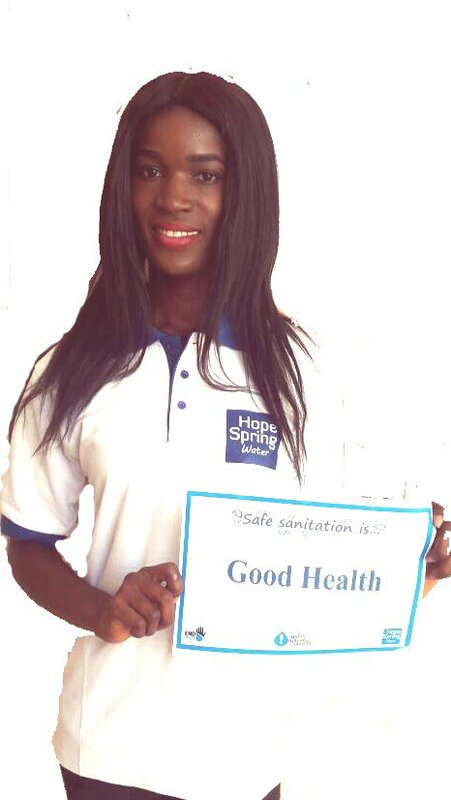 Hope Spring Water volunteers also educated the public on what “Safe Water and Sanitation”, means to them.